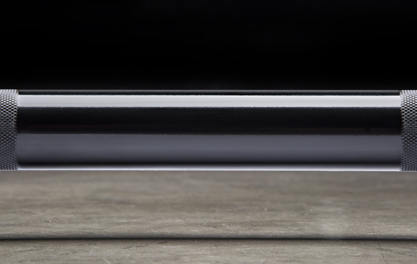 The first run of the Curl Bar includes a unique E-coat finish with bright zinc sleeves. 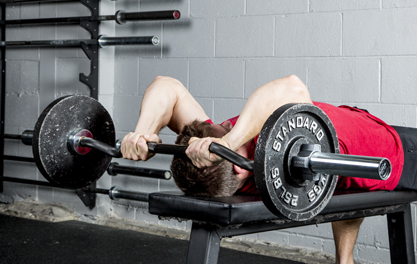 The 1.9” diameter sleeves are compatible with most standard Olympic plates, but the 31.5” space between the sleeves means that this bar is NOT designed to be rackable. 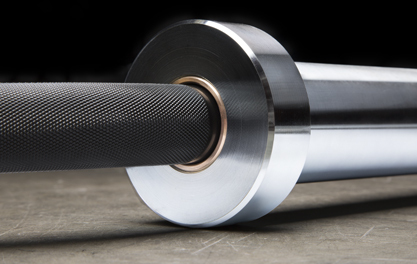 The curved shaft of the traditional Curl Bar has been trusted by experienced, beginner, and rehabbing athletes for years as a way to reduce strain on the wrists during high-rep workouts. The Rogue Curl Bar updates this premise by incorporating elements from out top in-house Olympic weightlifting bars to create a higher caliber tool. This includes the exclusive non-abrasive knurl pattern from our Ohio Bar—battle tested for years at the highest levels of competition. The Rogue Curl Bar is one of the few specialty bars of this type to be fully designed, machined, and assembled in the USA. The 28.5mm diameter bar is precision formed to the highest standards. It features bronze bushings, which act as bearing surfaces between the bar sleeves and shaft for a smooth feel. The sleeves (bright zinc in the initial run) are assembled to the shaft using the same snap ring design found in many of our most popular Olympic bars. The sleeves of the Curl Bar are compatible with most standard Oly plates, including our own Rogue Olympic Plates. You can also explore the Rogue catalog for top quality barbell collars and other accessories, as well as our full line of other American-made specialty bars. 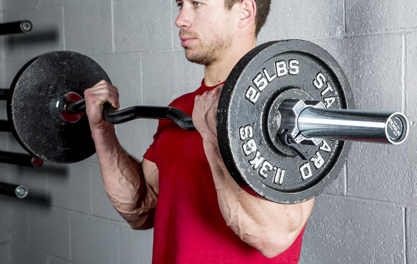 Many athletes also use the Curl Bar in conjunction with the Rogue Arm Blaster: accessory, which can help keep the arms tight against the body—isolating the biceps for greater strength building benefits..
Orders placed by 3PM often ship the same day. 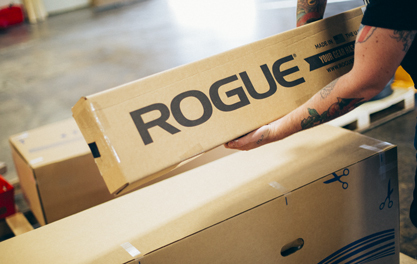 The Rogue Shipping System allows you to track your order from the time you place it to the time it hits your door. Order today, track today. 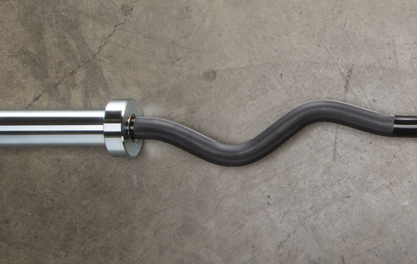 Rogue Curl Bar is rated 4.9 out of 5 by 106.